BVV fixed-sheathed cable (ZR-BVV, NH-BVV)_Guangdong Zhujiang Wire & Cable Co., Ltd. This product is suitable for power units and household appliances with AC voltages of 300/500V and below. It can also be used for surface mounted wires. Long-term allowable operating temperature: no more than 70 °C fixed laying cable (wire) laying temperature is not lower than 0 °C. BVV has one more sheath than BV. Divided into ordinary, flame retardant, fireproof three. Insulation: Used in residential and commercial building and industrial distribution circuits (BVV). Flame retardant: Targeted to prevent 2 fire spreads (ZR-BVV). 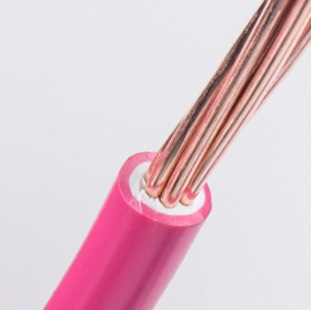 BVV wire full name copper core PVC insulated polyethylene sheathed round cable, also known as light PVC sheathed cable, commonly known as hard sheathed wire. The insulation material and sheath material of BVV wire are all polyvinyl chloride. According to the different performance, the product can be divided into three categories: insulation, flame retardant and fireproof. Different classification uses are different. Electrician, instrumentation, telecommunication equipment, power equipment and lighting lines for flame retardant applications are fixedly laid. A place with high flame retardant and fire resistance requirements.